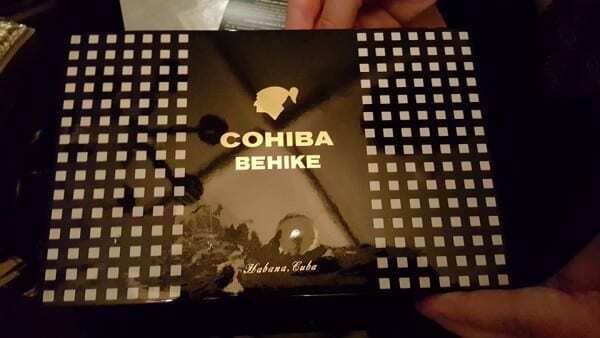 Care for a extremely rare $600 stogie on your way to the next best thing? 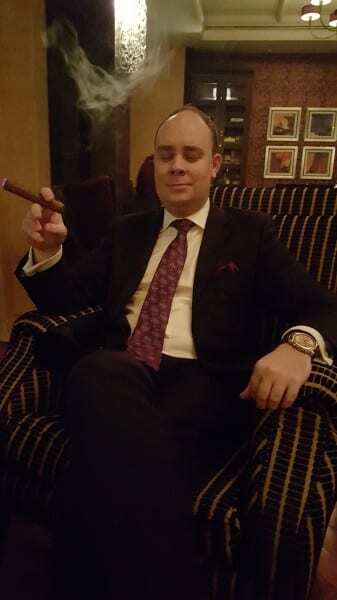 The Diademas Cigar Lounge at the H-Hotel in Dubai. 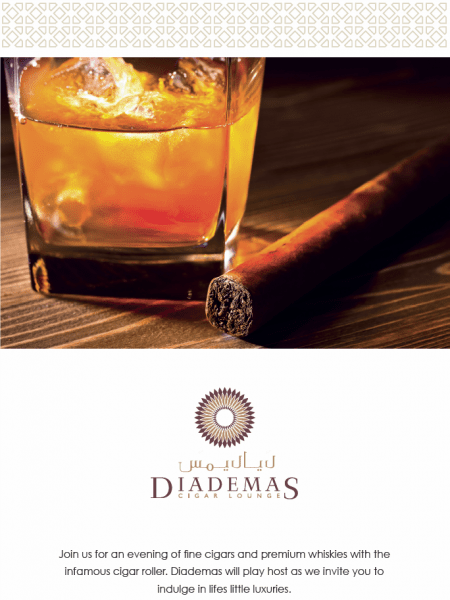 Named after an extremely rare, and sought after Cuban blend, The Diademas Cigar, the lounge is the newest addition to the burgeoning cigar scene in Dubai. However, be forewarned, this Lounge is not for a beginner or a cigar wanna-be. “Wrapped in the trappings of heraldry, a Diademas cigar comes individually coated in their own aluminum armour. Some seek these cigar simply for their knightly guise but the Diademas are an enticing Figurado with a complex and multi faceted smoke,” he says. “The blend of the bunch stabs out herbaceous tendencies and then parries these with slashes of mocha, coffee and caramel,” adds the suave Brit. “Tending to the Diademas bawdy variations in the burn will take advanced smoking skill so make sure you know how refined your skills are! The cigars are no longer in smoking circulation and hence rare. Randall found a way to Buy this on Amazon and the moment he saw them he knew he had hit a pot of gold and endless cigar destiny. He bought as many he could lay his hands on and they are now displayed for sale with pride at the Lounge. 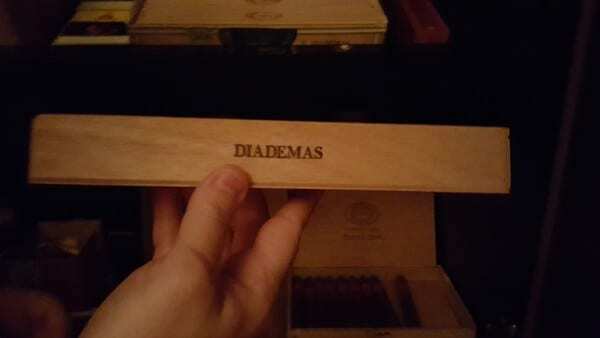 If you would like to smoke one of his very few Diademas’ (pictured here) it will put you back a mere $600USD. 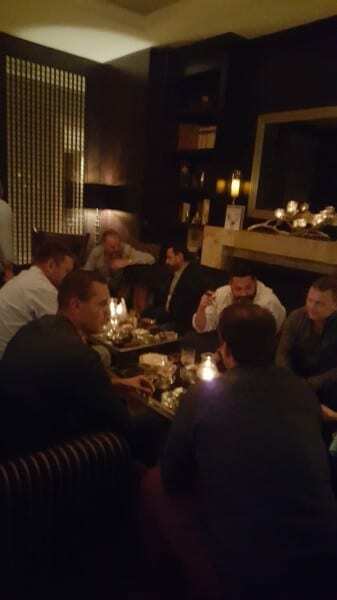 And last week, to celebrate the lounge and post-Holiday stress, his bar manager, the effable Vasco Edgar (seen in the pictures cocktailing) invited a group of cigar aficionados to a cigar party replete with a cigar roller (a female one at that!) at a prix-fixe bash featuring libations and a hand rolled Cuban. 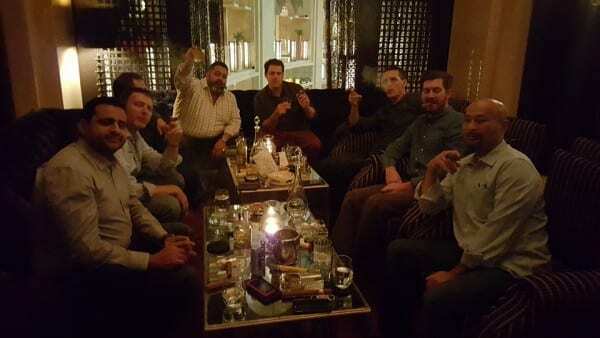 There are many cigar lounges in Dubai but none that takes itself more seriously than this one. The pace is relaxed, but the attention to detail, quite unimaginably, is right down to the the last puff. There are no “cigar sommeliers” or bartenders or servers with a Cuban degree and recitation here, but a staff of two extremely dedicated, and vigilant, Vasco and Mahesh, that work in tandem like a chef and his lieutenants except nobody is barking orders. 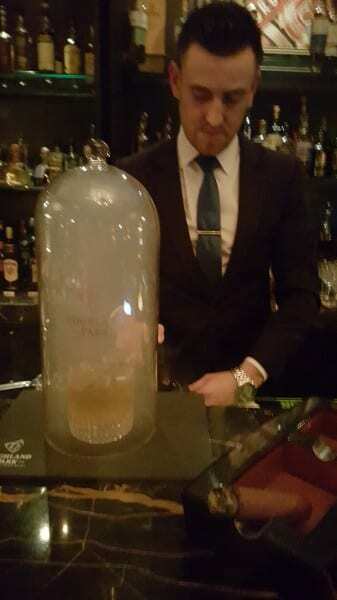 The focus, unlike other cigar venues in Dubai, is not to rush you a bar tab billed to your room, but rather let the smoke take you places you have been before and want to return over and over again. 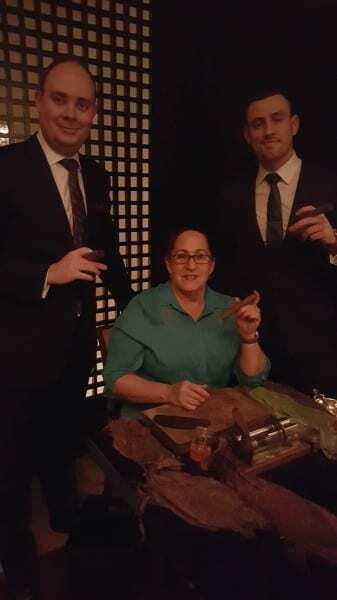 The Lounge plans to open a members club with regular events and parties so that once the ash is settled you are ready to puff away to glory, so let cigar bygones be bygones and enjoy your next stogie here. Vasco and Mahesh will be there when you cross the cigar shores.